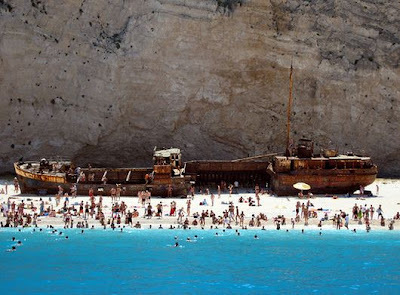 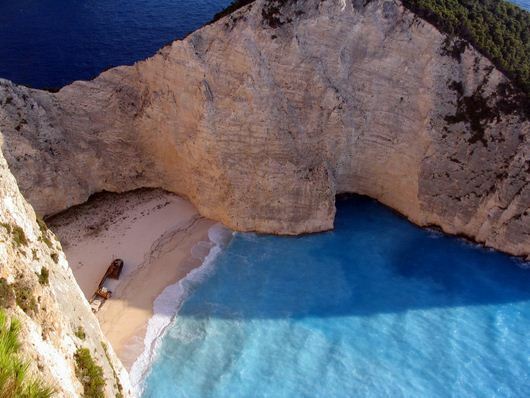 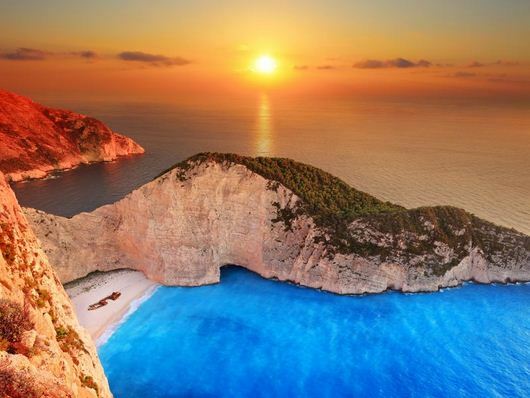 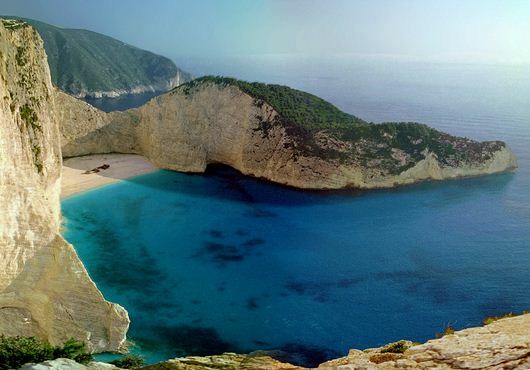 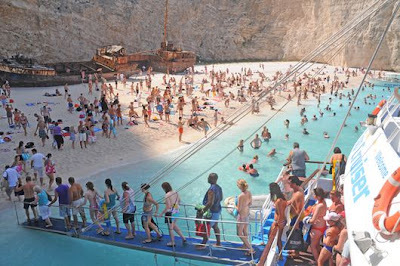 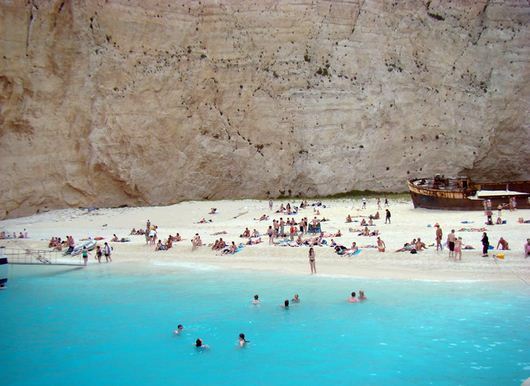 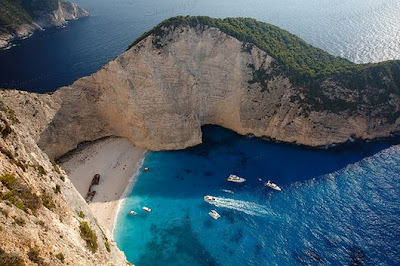 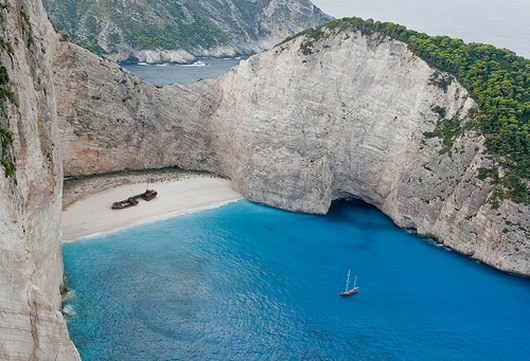 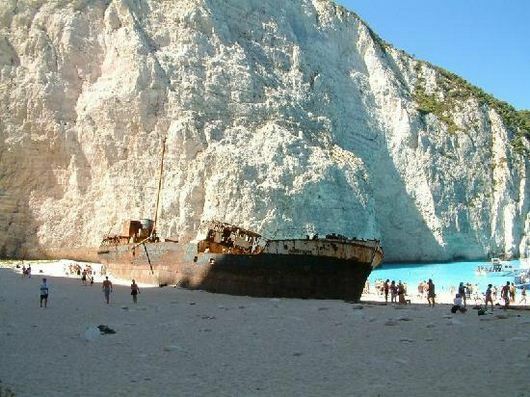 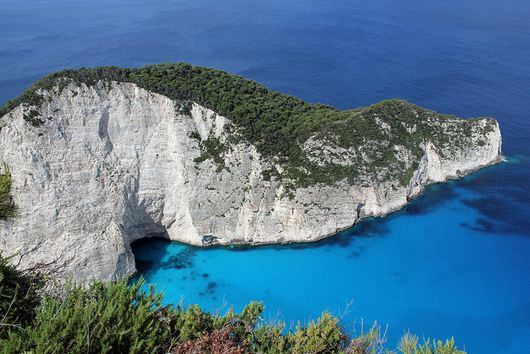 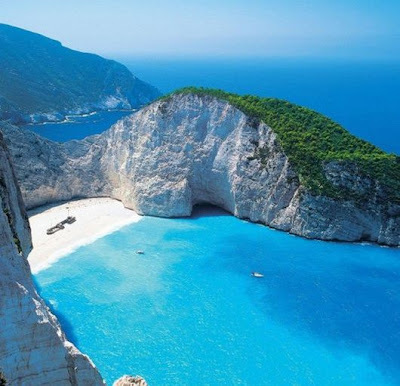 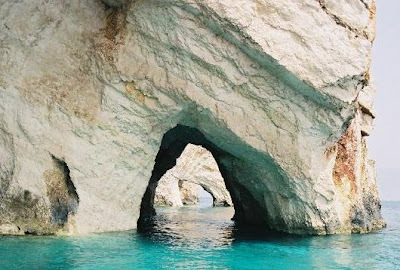 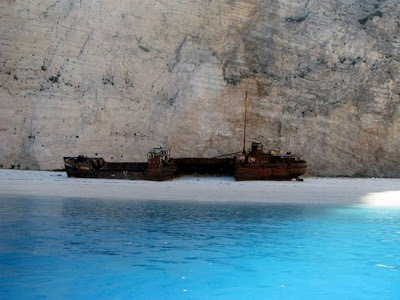 Navagio Beach, or the Shipwreck, is an isolated sandy cove on Zakynthos island and one of the most famous beaches in Greece. It is notable because it is home to the wreck of the alleged smuggler ship known as Panagiotis, thus, it is often referred to as Smugglers Cove. It is the trademark of the island and has been photographed millions of times. This superb beach is located in the eastern part of the island, close to the Anafotiria village. 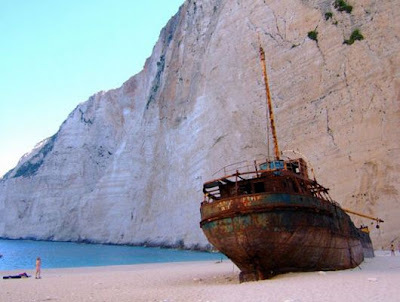 It was initially called Agios Georgios but owes its new name to the shipwreck of a boat that transported illegal cigarettes, in 1983. 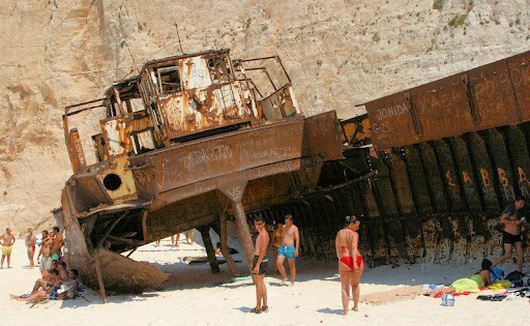 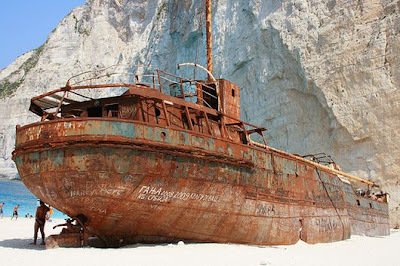 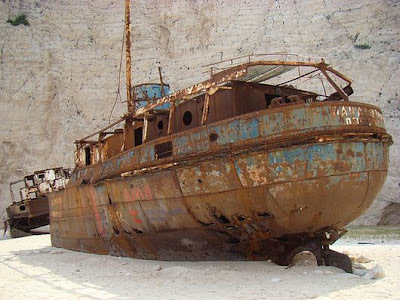 The deep sea left the remains of the ship on this beach. 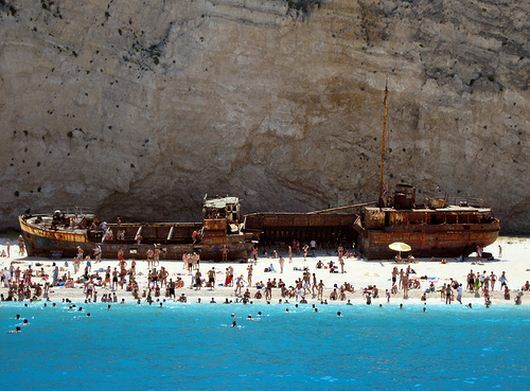 With the years passing, the sand completely surrounded the ship which looks now as if it was emerging of it. 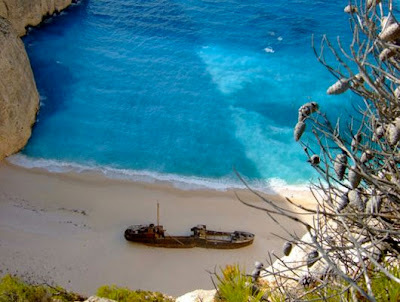 The vestiges of the ship can be seen in the middle of the large white sandy beach which has amazing turquoise and crystalline waters. Huge vertical cliffs of white rocks are surrounding the sand creating a unique and enchanting image. 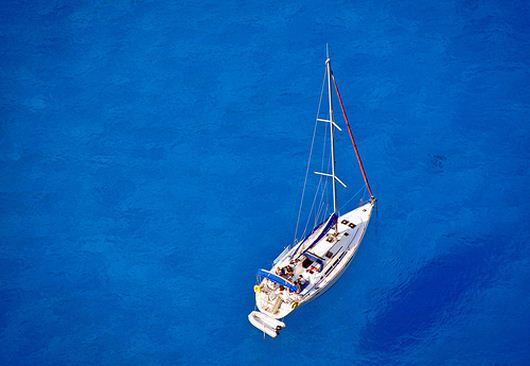 To reach this paradise, one has to take a little boat from the small port of Porto Vromi. 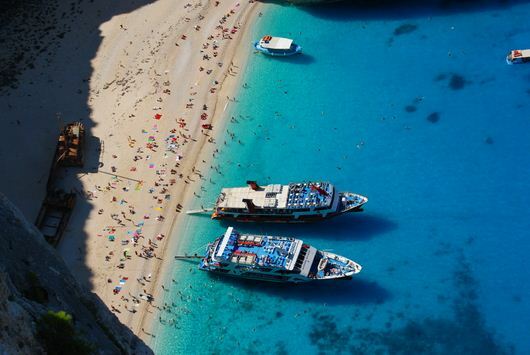 Those taxi-boats are leaving every hour and the trip is about 30 minutes.